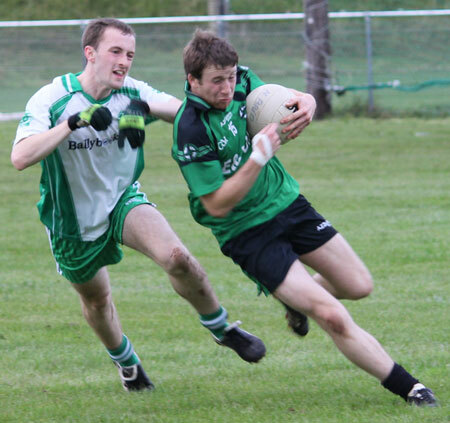 David Walsh might have been away on holiday, but he left the Naomh Br�d scoring mantle in the safe hands of younger brother Shane, who destroyed Aodh Ruadh with his power and accuracy. 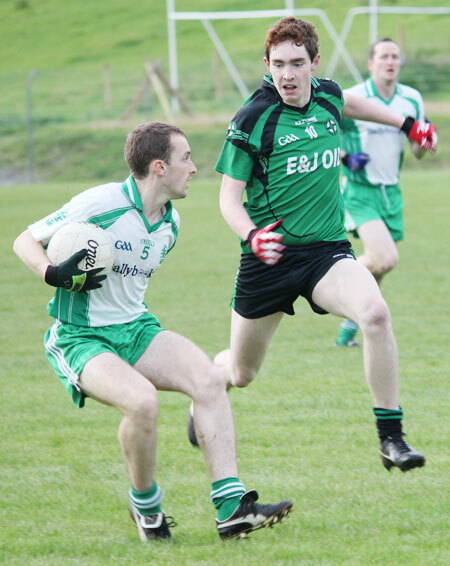 Naomh Br�d won the opening match of the season between these sides in P�irc Aoidh Ruaidh, so there was considerable pride at stake in this derby encounter. 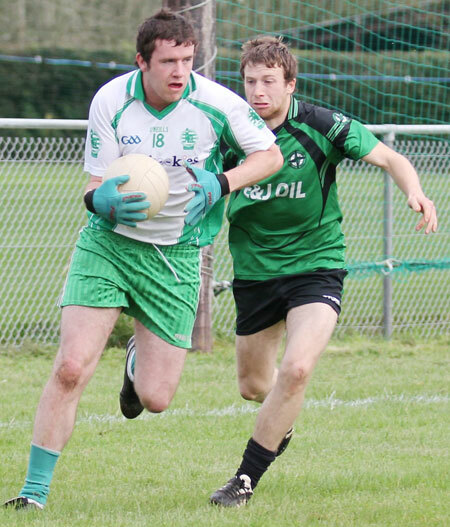 However, once again it was the Ballintra Laghey outfit which brought more passion and conviction to the table. The opening exchanges were tetchy and error strewn with a number of chances going a-begging for both sides. 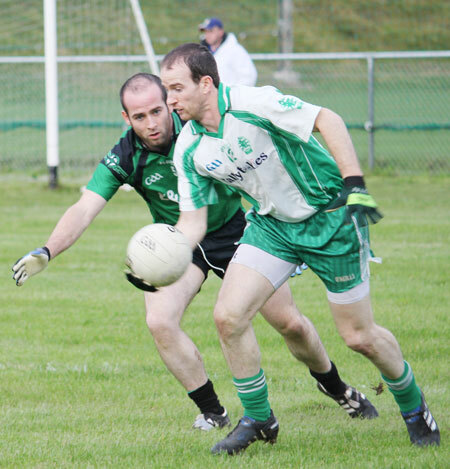 It was Petey Walsh who got the scoring started for the homesters in the eighth minute and five minutes later he doubled Naomh Br�d's lead. 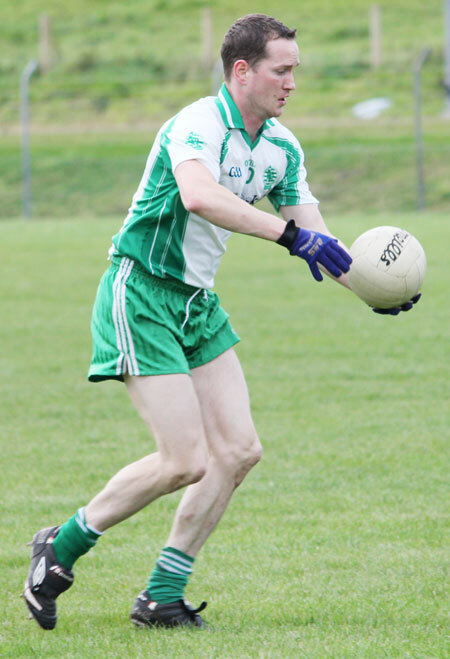 With the Naomh Br�d enjoying the lion's share of possession Aodh Ruadh found it difficult to carve out clear scoring chances and it took a fine effort from Michael 'Sticky' Ward to open the visitors account in the 16th minute. Niall McCready forged forth from corner back four minutes later to level the game. 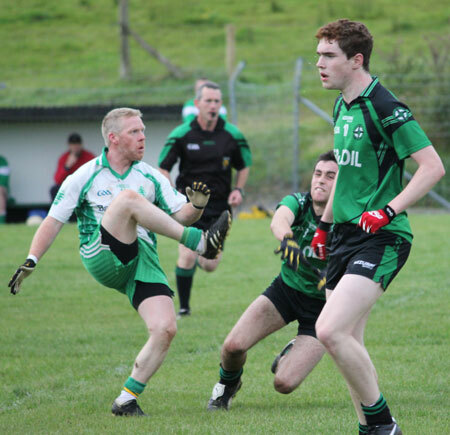 Naomh Br�d turned up the pressure coming up to half-time, signaling their intent when Thomas Gallagher came rampaging through the Aodh Ruadh rearguard and slammed a super shot to the top left of Peter Boyle's goal. 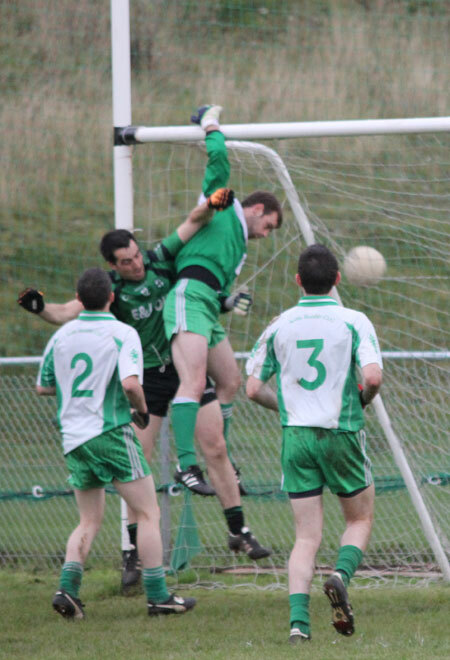 It took a truly exceptional save from Boyle to put the ball out for a 45. The homesters were not to be denied though. A minute into added time Alan McGirr came charging through, the goal chance was there for him, but he flicked the ball off to the unmarked Shane Walsh who volleyed it first time. 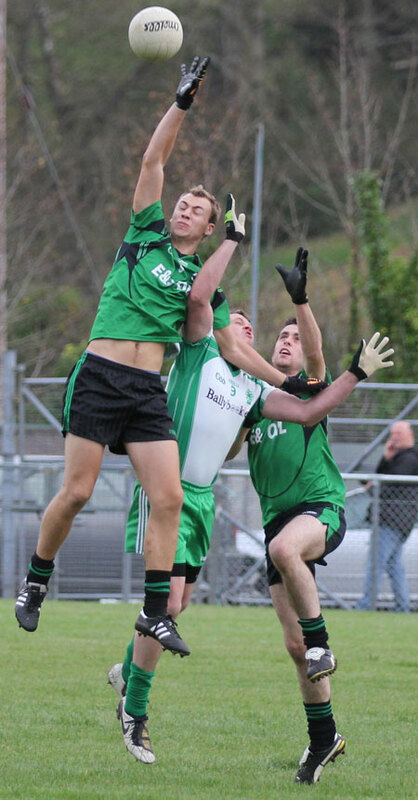 The ball squeaked into the net despite the best efforts of the Ballyshannon defence. That was a hammer-blow before the break. 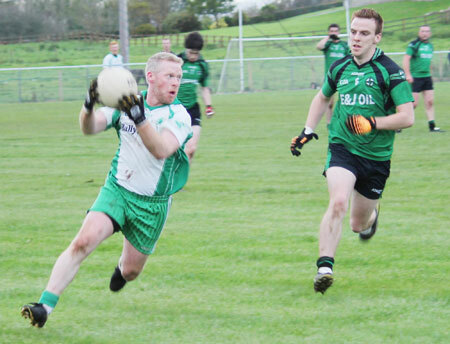 Going in level at the break would have been a great lift to Aodh Ruadh given how little football they had played in the first half. 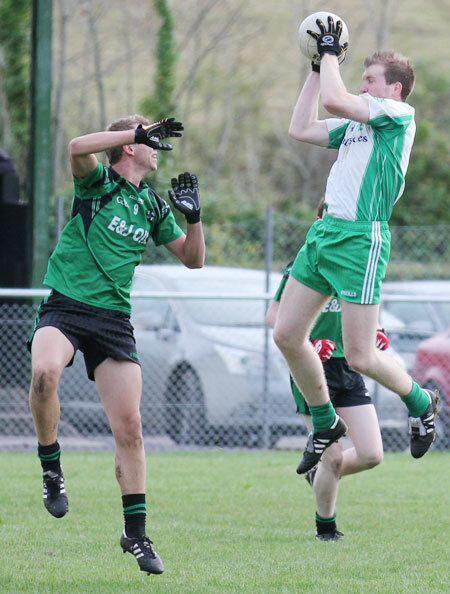 The goal put Ballintra in the driving seat and they played with greater freedom in the second half, while Aodh Ruadh struggled to impose themselves on the game. Shane Walsh opened the scoring a minute into the second half with a fine free from out on the right. Three minutes later he was through on goal and his screamer of a shot just inside the left post didn't give Peter Boyle a hope. 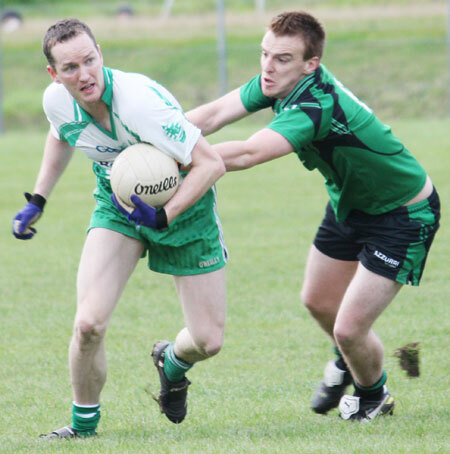 With Naomh Br�d seven points ahead, it already looked like game over for Aodh Ruadh. 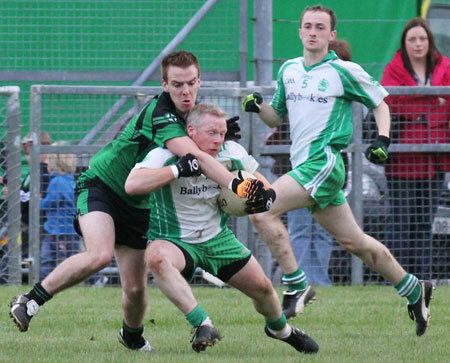 Ballyshannon's response was their best move of the match, Brian Roper central in the promptings which led to a James O'Donnell point. 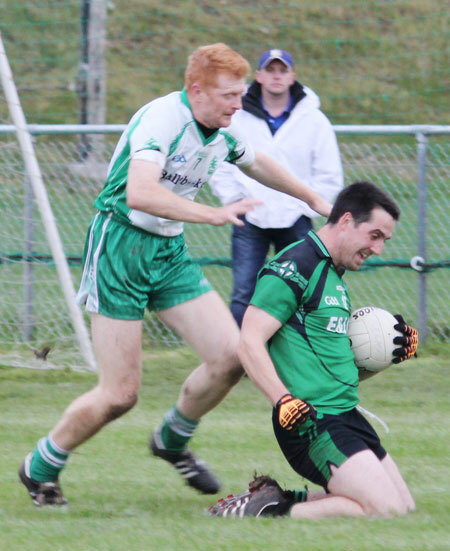 But Ballintra were not in the mood to leave any Ballyshannon impertinence unanswered and less than a minute later Shane Walsh had fired over an even more majestic point and Cian Gallagher floated over another just seconds later to ram home the gulf between the sides. With 20 minutes left Sticky Ward hit a good long range free to bring the scores back to 2-5 to 0-4. 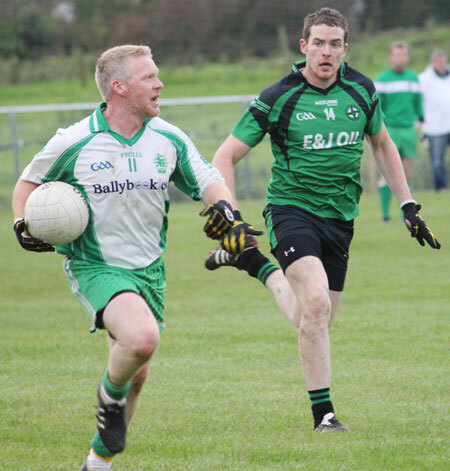 Aodh Ruadh needed scores, and quick, if they were to have any hope, but the next score, coming as the game entered the final quarter, came off the boot of Naomh Br�d's Pauric McDaid from a placed ball. 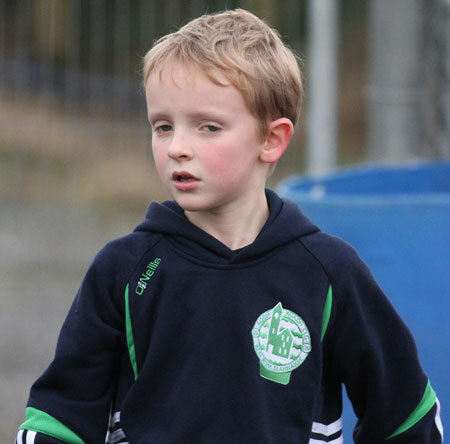 A point from Cian Gallagher widened the gap out to three goals. 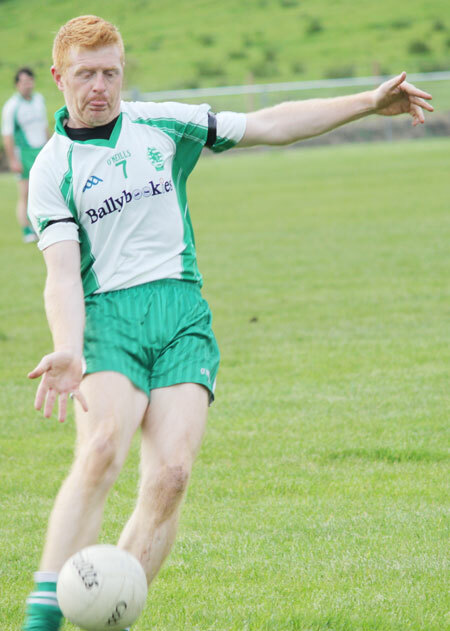 A lofted point from Kerry Ryan with seven minutes to go seemed like an effort to take the bad look off the score line from a Ballyshannon perspective. 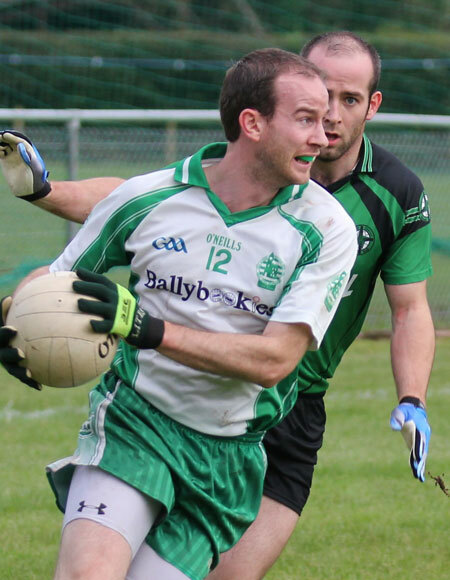 However two minutes later a long range Sticky Ward free dropped short and James O'Donnell put a fist through the ball to drive it into the back of the Naomh Br�d net. With the deficit down to five points there was a faint frisson injected into the remainder of the game. 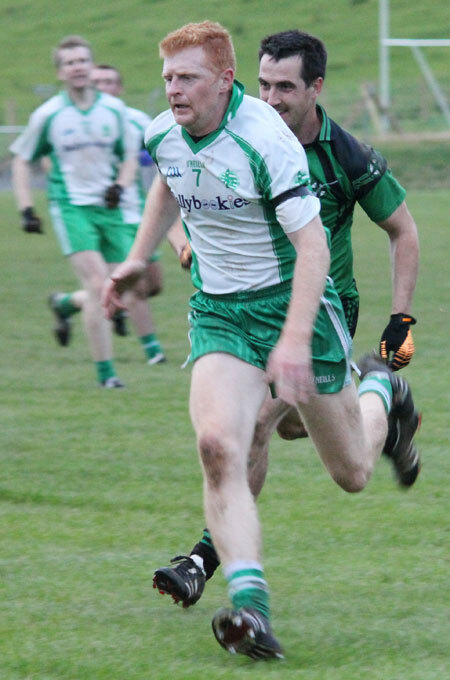 However Naomh Br�d got the next score, a handy point for Shane Walsh and with a minute of normal time left the game was effectively over. 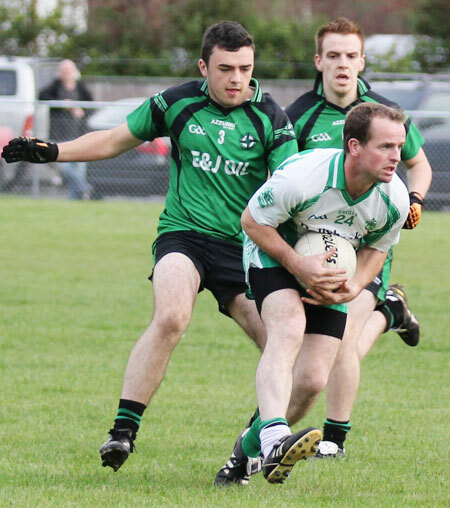 Shane McShea, Pauric McDaid and Sticky Ward exchanged points, but it was of academic interest at that stage. 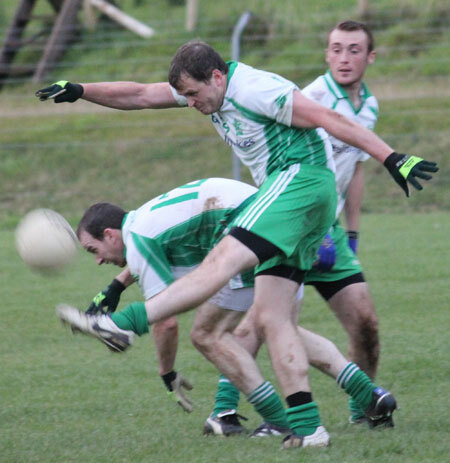 A convincing win for Naomh Br�d and the bragging rights rest firmly in the green and black quarter of south Donegal. 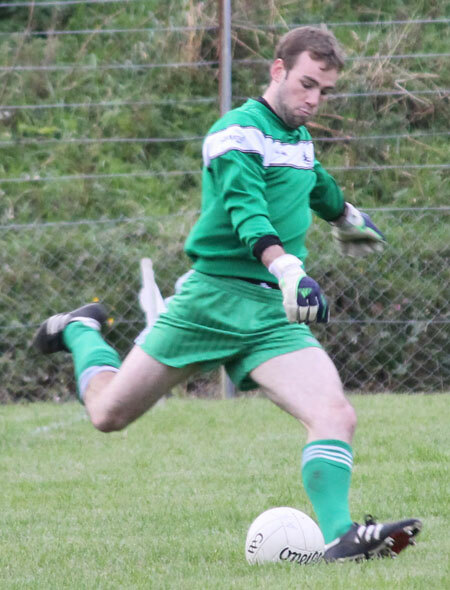 Shane Walsh's athleticism and clinical finishing was the main difference between the sides. 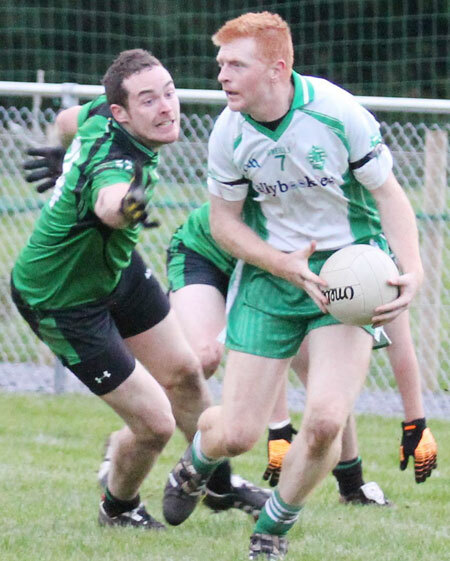 Aodh Ruadh's hopes might have been raised when Petey Walsh went off after scoring two points early in the first half, but his replacement, Pauric McDaid, was equally useful when introduced. 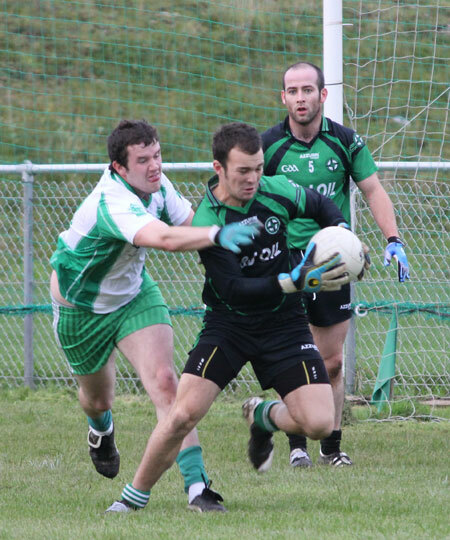 Aodh Ruadh had enough chances to make the game competitive, but too often shots dropped short or drifted wide. Referee Michael McShane deserves credit for a well-measured performance and keeping a firm lid on an edgy game. Stephen Doherty; Jamie Timoney, Sam Burgess, Maurice Quinn; Sean Gormley, John Langan, Stephen Quinn; Thomas Gallagher (0-2), Alan McGirr; Cian Gallagher, Peter Walsh (0-2), Dermot Langan; Shane Walsh (2-3), Paul McGrory, Gary McCafferty. Substitutes: Pauric McDaid (0-2f) for Peter Walsh: 20 minutes; Donal Martin, Declan McCafferty, Pauric Gormley, Ross Gallagher, Owen Haran, Michael Quinn. Yellow Cards: Dermot Langan: 19 minutes; John Langan: 40 minutes. 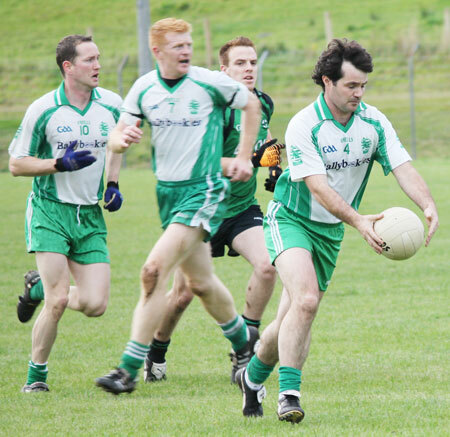 Peter Boyle; Niall McCready (0-1), Ciron Whoriskey, PJ McGee; Ronan Drummond, Darren Drummond, Kerry Ryan (0-1); Michael Gurn, James O'Donnell (1-1); Shane McShea (0-1), Brian Roper, Anthony Boyle; David Dolan, Michael 'Sticky' Ward (0-3, 1f), Donagh McIntyre. Substitututes. 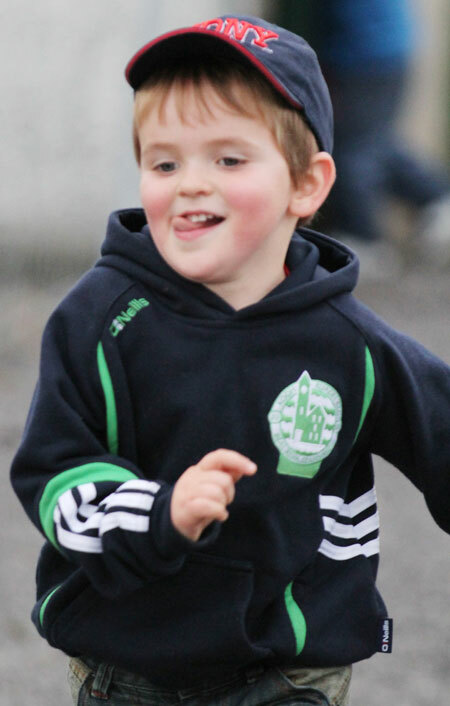 Turlough McIntyre for Donagh McIntyre: 46 minutes; Diarmuid McInerney for Ronan Drummond: 46 minutes. Yellow Cards: Shane McShea: 44 minutes; Niall McCready: 57 minutes.